Inns at Hatsuishi (鉢石宿) in Nikko, Tochigi Prefecture. 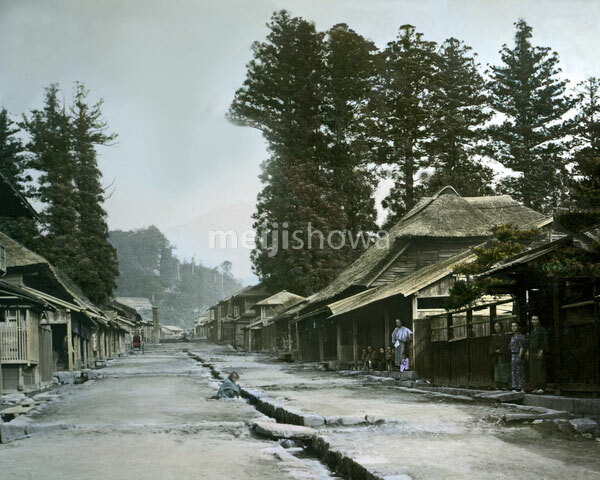 The town was the twenty-first and last shukueki (way station) of the Nikko Kaido (日光街道), the major route connecting connecting Tokyo with the Nikko Tosho-gu shrine complex. dedicated to Tokugawa Ieyasu, the founder of the Tokugawa shogunate. Notice the waterways (水路) in the center and on the sides.